Joanna Shields has resigned from her role as European boss of Facebook to become chief executive of the Tech City Investment Organisation (TCIO). 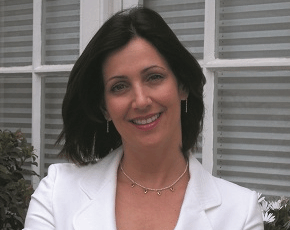 Joanna Shields will join as the chief executive of TCIO in January 2013. The government initiative was launched by the UK Trade and Investment in 2011 to compete with California’s Silicon Valley. The area dubbed Tech City - otherwise known as “Silicon Roundabout” – has seen interest from companies such as Vodafone, Barclays and Amazon through investments and setting up offices in the nearby Shoreditch area of London. “I think London is an extraordinary city. This is the gateway to the world. It should not be a step-child to other cities. It should be in its rightful place as the centre for innovation in my world, the digital industries,” Shields told The Sunday Telegraph. Joanna Shields is one of the most influential women in IT and oversaw the expansion of Facebook following her arrival in 2010. Previously, she worked as the chief executive of another social network, Bebo, as well as holding senior roles at AOL and Google.